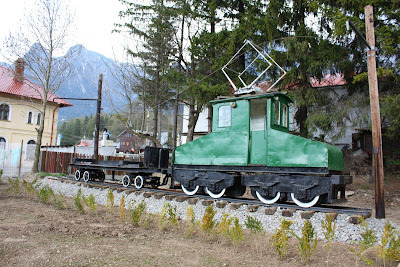 The third train station that I visited in the spring of 2011 in the Prahova Valley, that had a full size locomotive exhibited next to it was the station of Busteni. 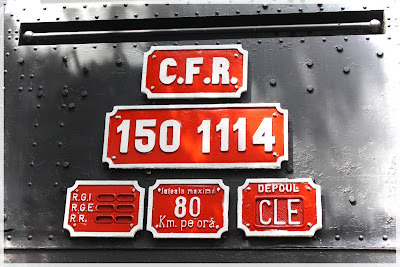 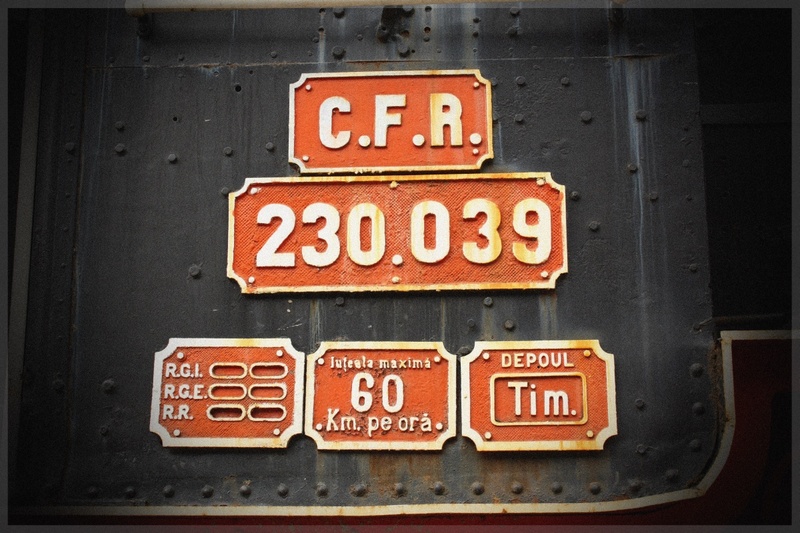 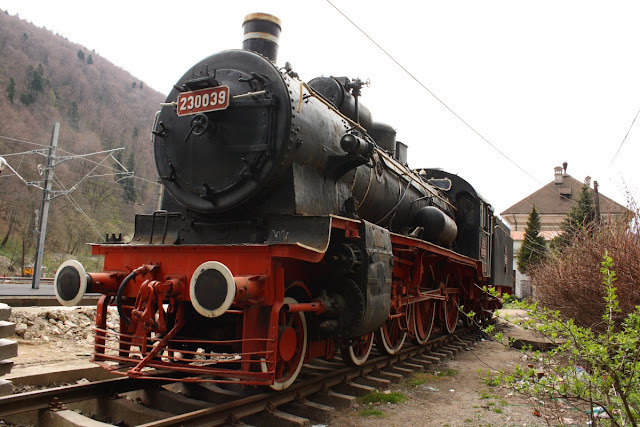 At Sinaia I have seen the CFR 230.039 steam locomotive and the permanent miniature railroad exhibition. 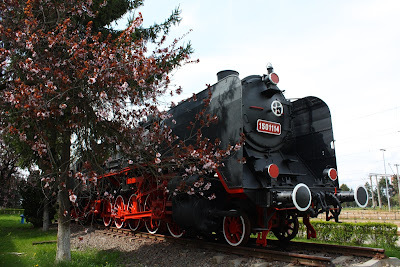 At Predeal I have had the chance to take a few shots of the CFR 50.497 steamer. 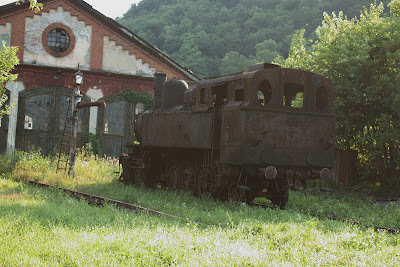 Busteni had reserved its own surprise for me, but I must say it was a little different from the others. 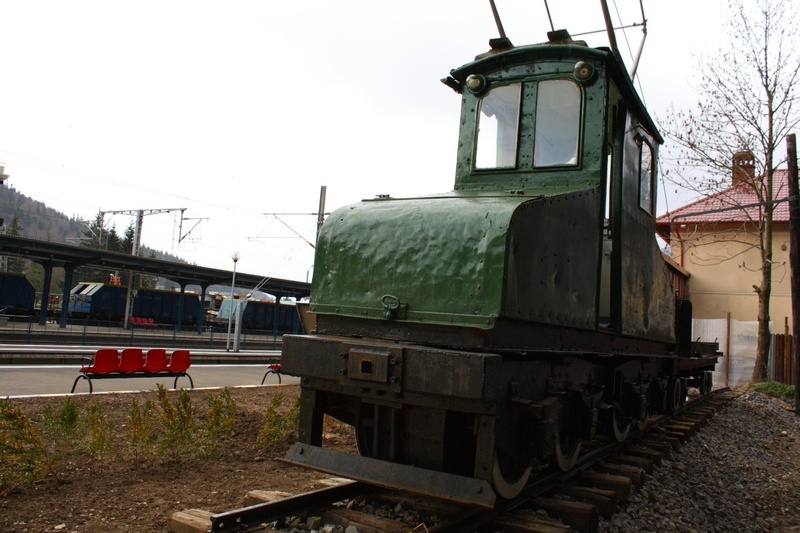 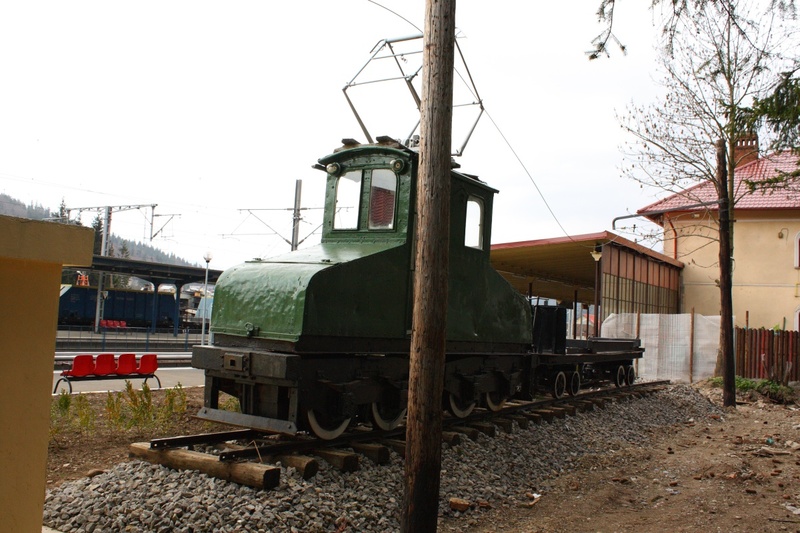 It was a small and visibly very old electric locomotive exhibited right next to the station building, together with a small flat train car. 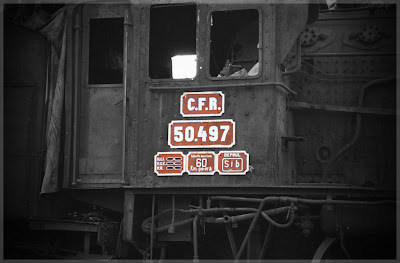 The loco and the car were both nicely restored ad they were placed on a narrow gauge (700 mm) piece of track. 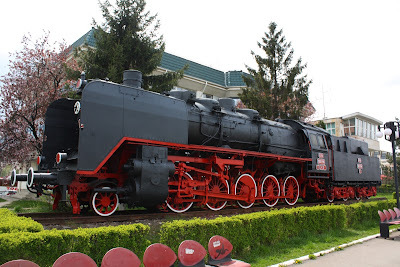 The 700 mm gauge was used widely in Romania for industrial purposes and the small car behind the locomotive also had an industrial feel but at the moment I did not know anything about the locomotive or the car. However, I have noticed that it looked a lot like the electric locomotive exhibited in the Dej Triaj collection. 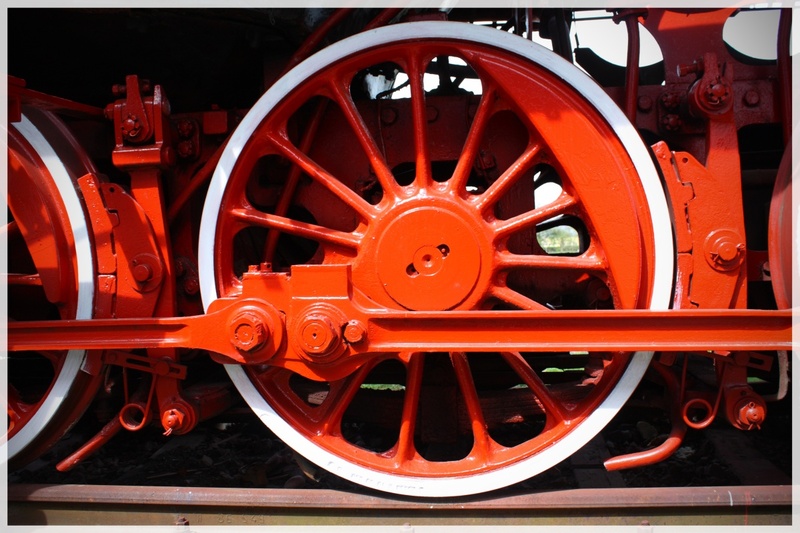 When I looked up the little electric locomotive on the web I found out that it had quite an interesting history and it played a very important part in the existence itself of the town of Busteni itself. It seems that the small mountain town was originally built around the wood industry, to be more specific, around the industry of producing paper. In 1882 the two sons of a Lutheran priest who lived in the nearby town of Rasnov, Carol and Samuel Schiel have realized the potential value of the immense quantity of living wood found in the area and have founded founded a paper mill. The demand for cellulose and paper was high and the business had quickly flourished. 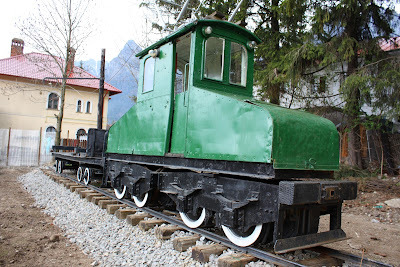 The wood had been brought down from the mountains with a funicular (cliff railway), but that was not enough to efficiently transport the materials, so in a matter of a few years, in 1894 the first industrial railway of the Prahova Valley had been constructed. 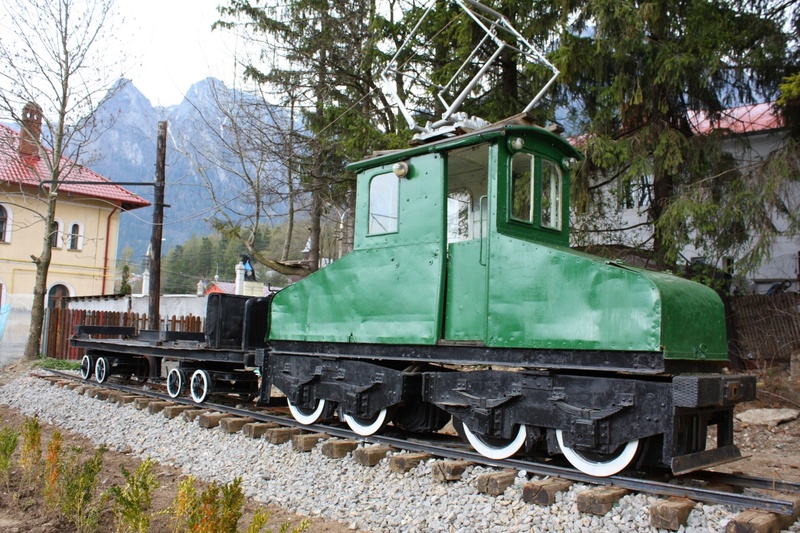 It was a narrow gauge (700 mm) line of only 6.2 km length used to transport logs. 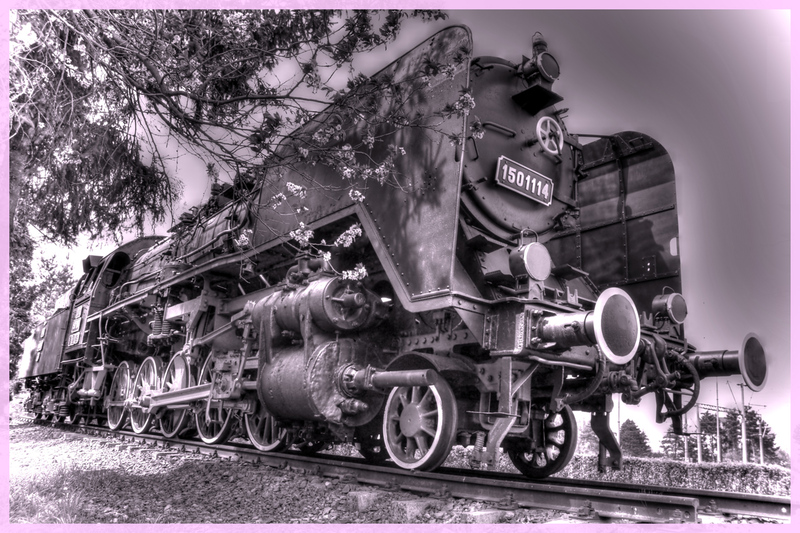 At the beginning steam locomotives were used to pull the trains, but the owners were concerned about the fire hazard, so shortly after, in 1899, the people of Busteni became acquainted with a new type of locomotive, one that probably seemed a miracle at the time, an electric one. 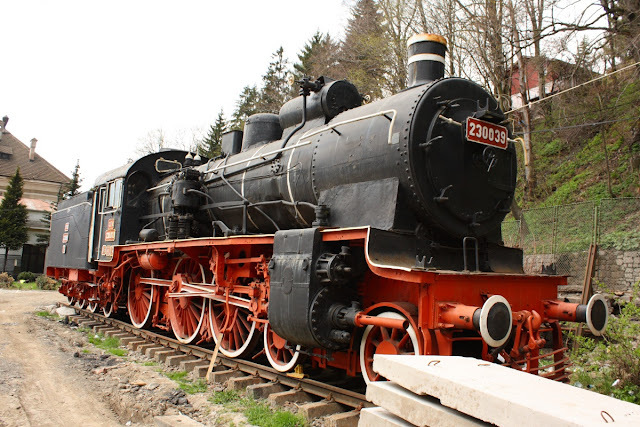 It was built by the Orenstein & Koppel factories from Berlin and it was used for a very long time to transport wood and paper. 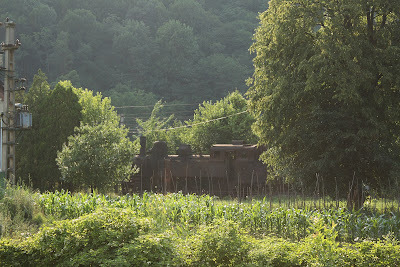 Unfortunately the story of the paper mill does not have a happy ending. 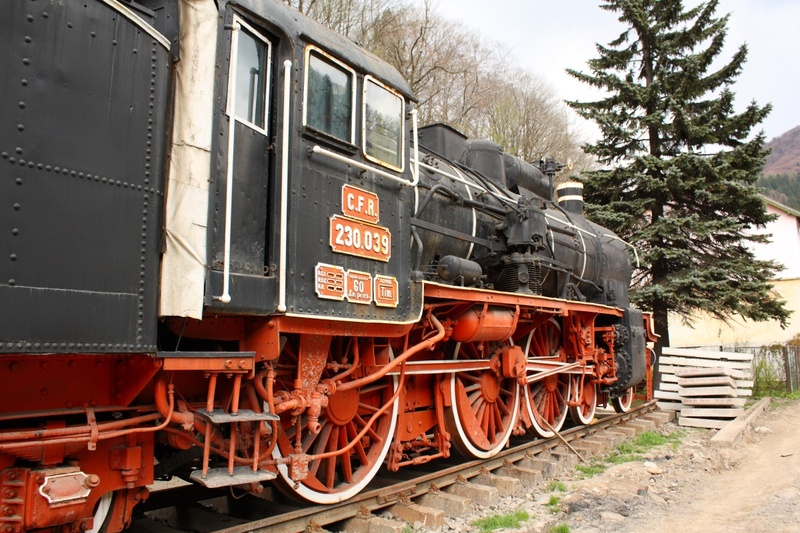 By 1928 most of the forest had been cut and the business started to decline. In 1948 it was all nationalized and in 1966 the funicular and the whole railway line was abandoned. 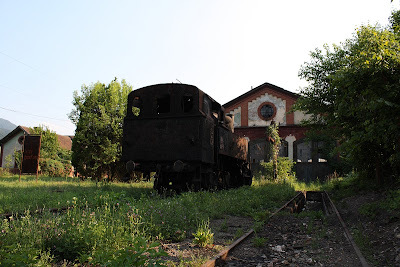 A small portion of it, which linked the two main parts of the factory located on the two sides of the main road was kept until about 2003. That is when the electric train worked for the last time. 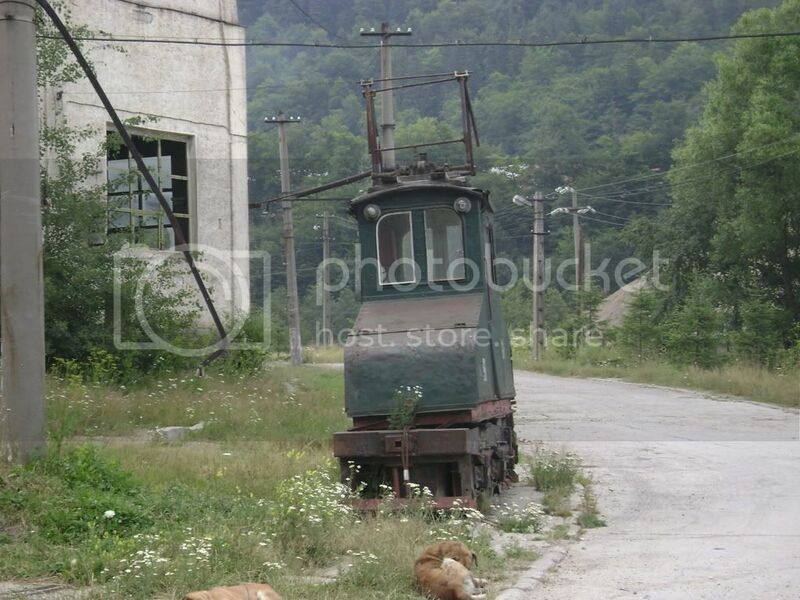 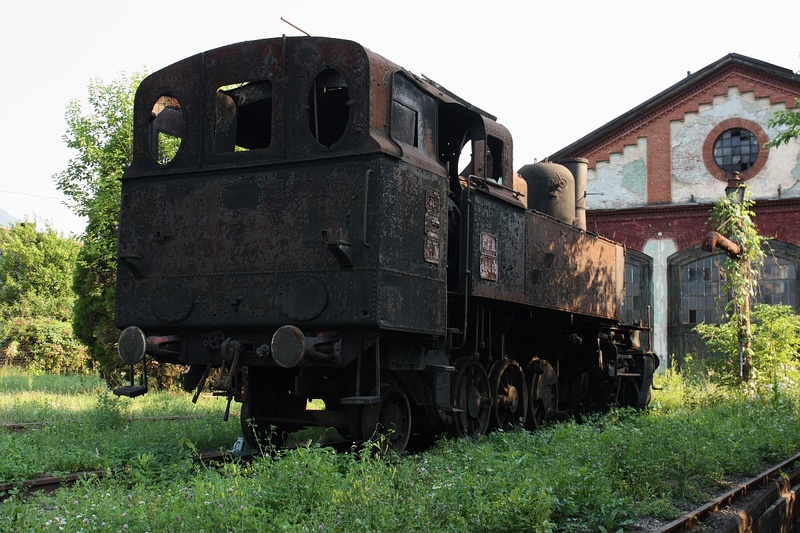 The story of the small electric locomotive ends in an equally sad manner. In 1990 it was transported to Bucuresti, from where it disappeared (probably stolen, sold or melted) and nobody knows anything about it since then. 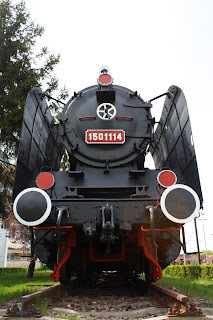 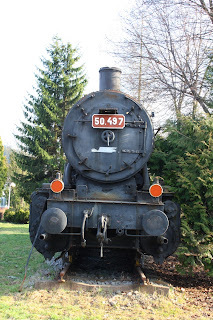 As I wrote earlier, this spring I had the opportunity to visit Sinaia, a quiet small town in the center of Romania, which has many things to see and that includes some eye candy for the railroad enthusiasts too. Those who are into railway modeling will be thrilled by the permanent miniature railroad exhibition hosted in the building of the train station, but those who are more into real, full size locomotives, will not be disappointed either because just behind the station there is a beautiful steam locomotive on display, the CFR 230.039. 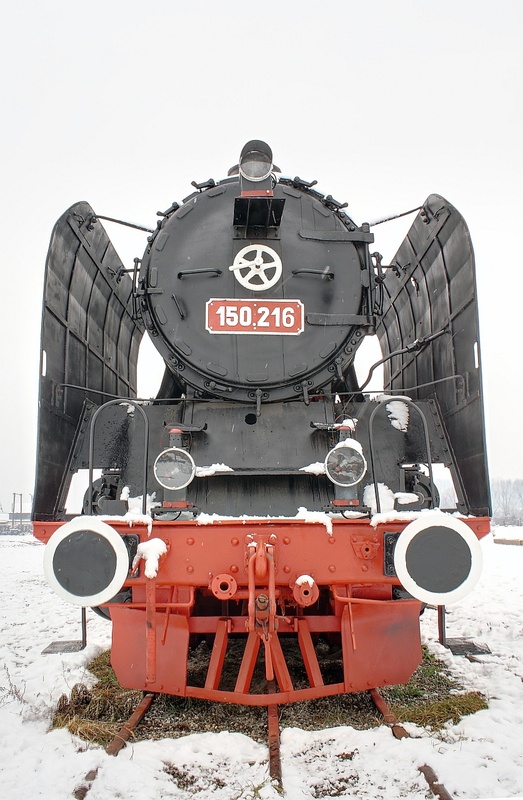 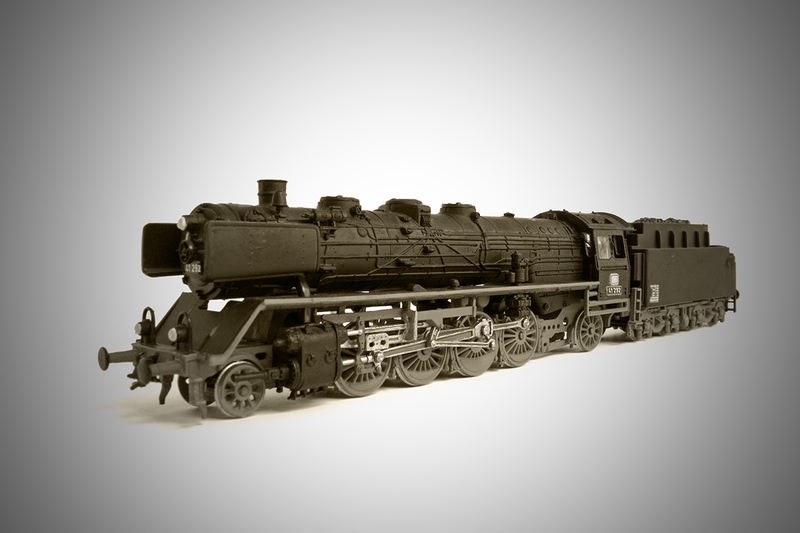 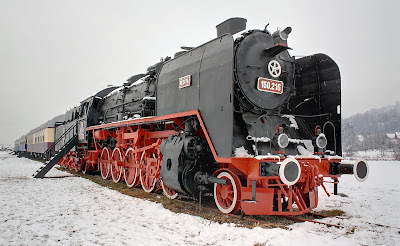 The 230.00 series of CFR locomotives includes machines of type Prussian P8 (KPEV, 2C-h2), which is considered to be one of the most successful and beautiful types of German steam locomotives. Their construction began in 1906 in the Schwartzkopff factories, also known as Berliner Maschinenbau. 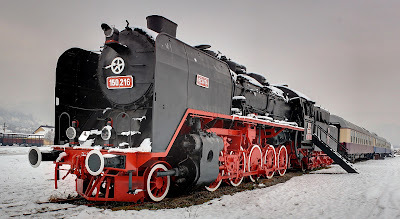 They were elegant, simple, fast and economical engines which were also relatively easy to drive. 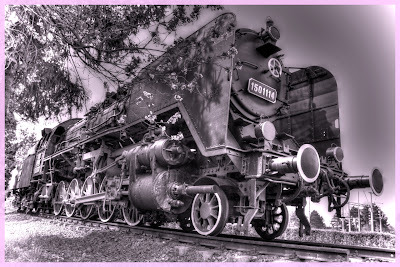 Most of them were employed in passenger hauling. 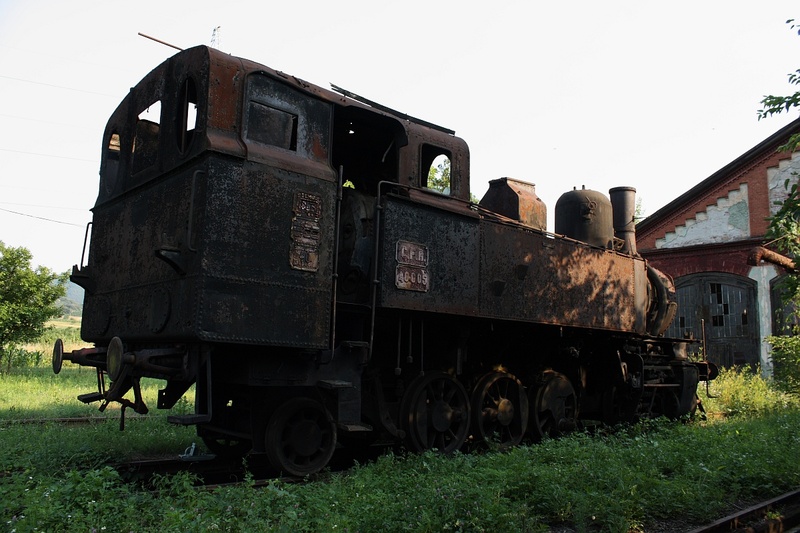 The first locomotives of the CFR 230.000 series have arrived to Romania as war prey after the First World War and their exploitation began in 1919. 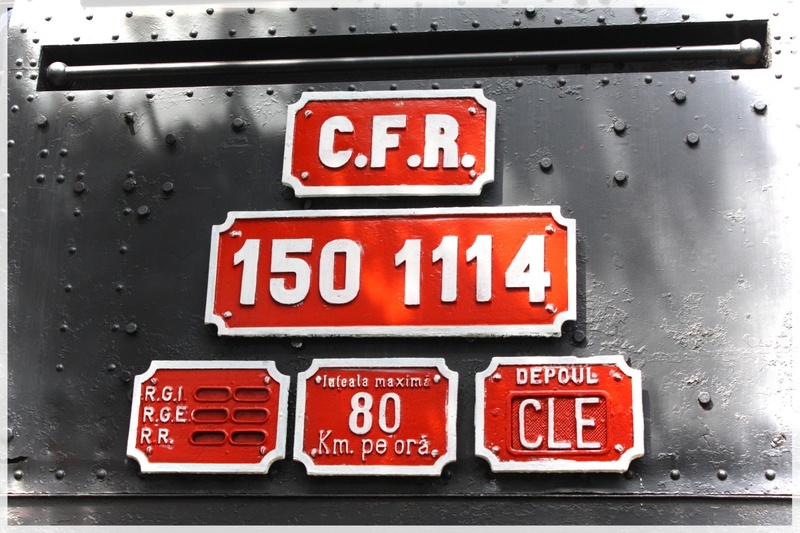 CFR has also acquisitioned 131 more from several German locomotive builders. The first lot was ordered in 1920 and they arrived to the country in 1921. 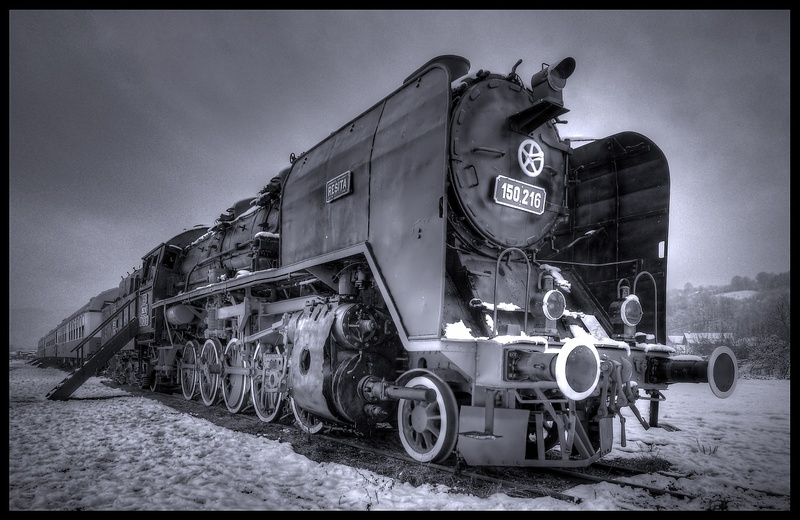 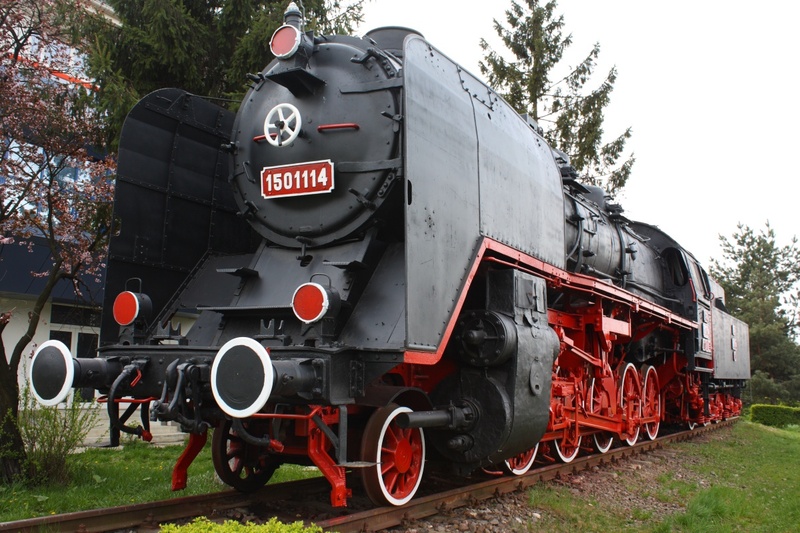 Seeing that they were so fit for the conditions of the Romanian lines and they had proved very efficient in pulling passenger and mail cars, the Romanian locomotive factories started building them too from 1932 onward. 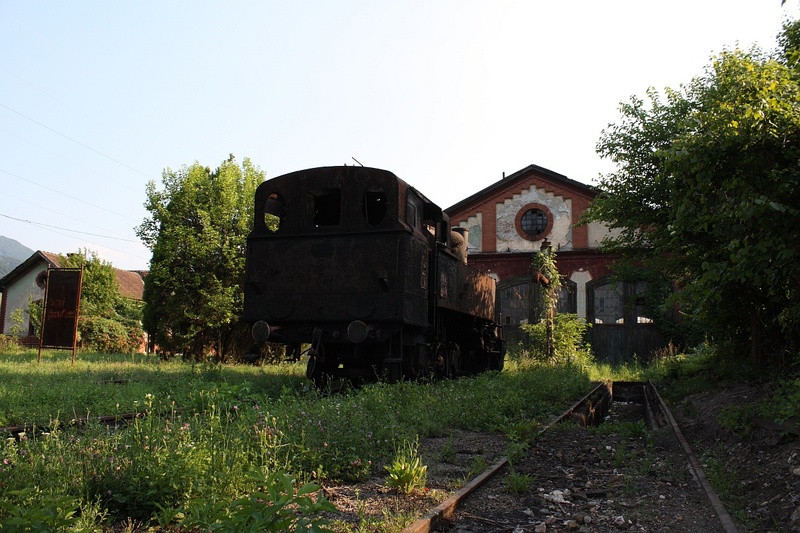 Until the year 1940 several were built, 139 by the "Uzinile Domeniilor" factory from Resita and 91 more by the "Uzinele Nicolae Malaxa" in Bucuresti. 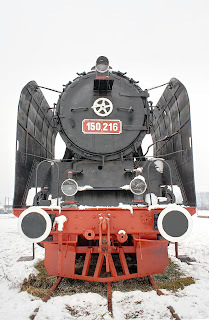 The fact that together they have built a total of 230 locomotives for the 230.000 series is just a coincidence. The engines built in Romania were technically updated and they were able to use not just coal as fuel, but also crude oil. Romania did not have much coal, but there was plenty of crude oil in the country, so this double fuel system, developed by George Cosmovici, was applied to many types of Romanian steam locomotives. 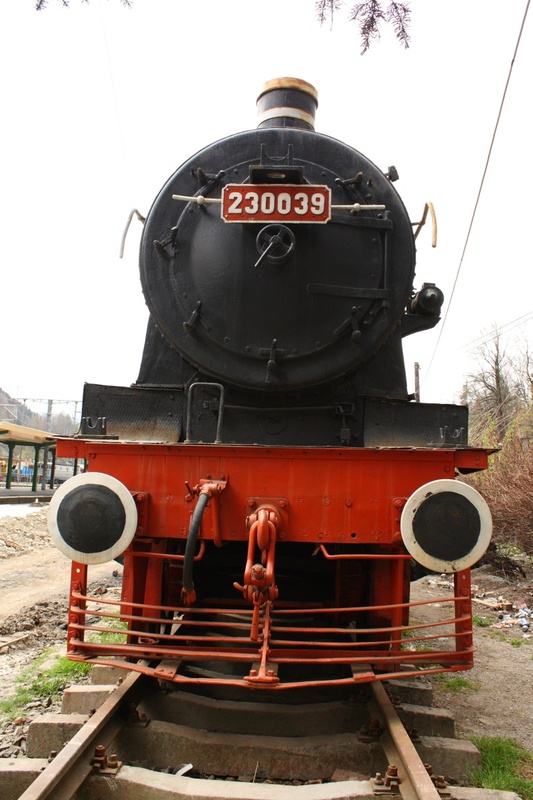 These locos served the Romanian State Railways for many decades, the last of them being retired in the 1980's. 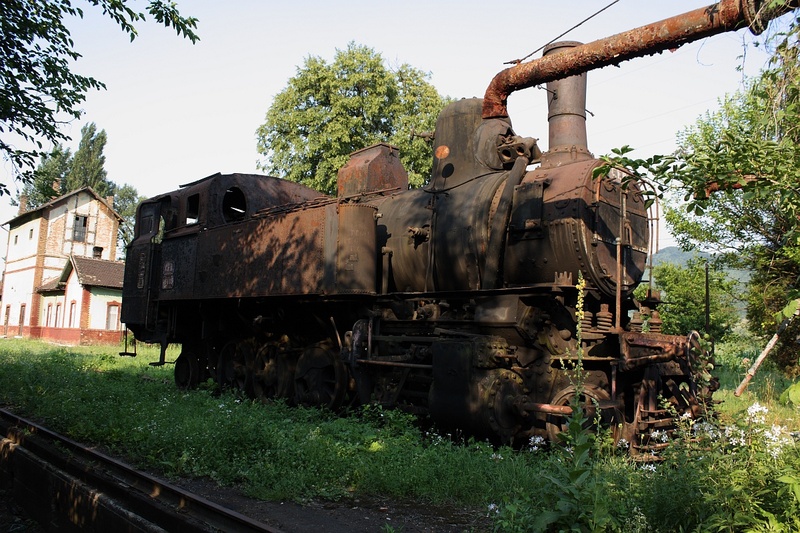 Unfortunately not many of them have been preserved, only about 10 (but that's quite a lot compared to how many other types of Romanian steam locomotives have been barbarically melted). 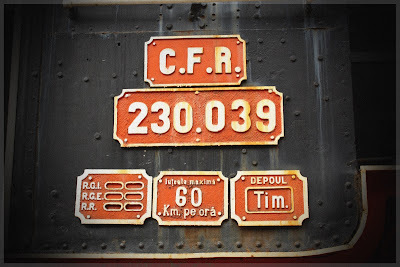 I previously wrote about the CFR 230.299 located in the Dej Triaj collection here and here. 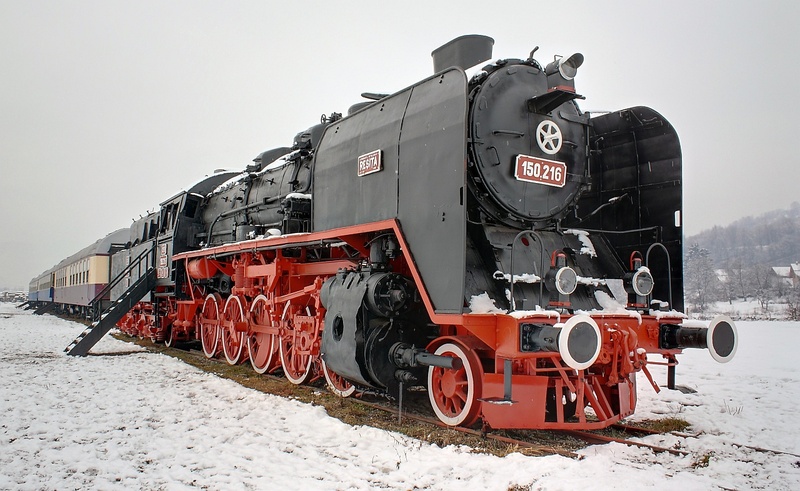 CFR 230.039 was built in 1907 by Stettiner Maschinenbau - AG Vulcan. 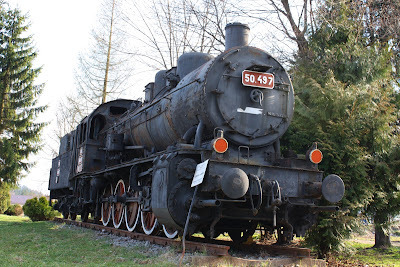 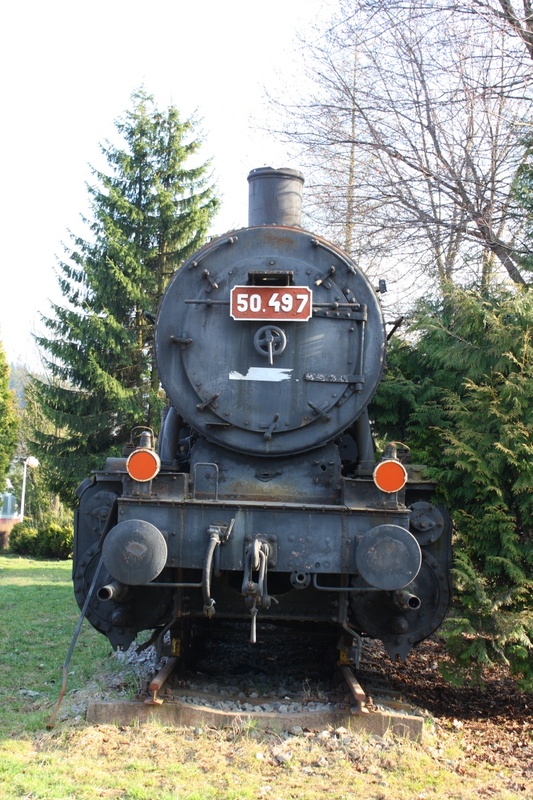 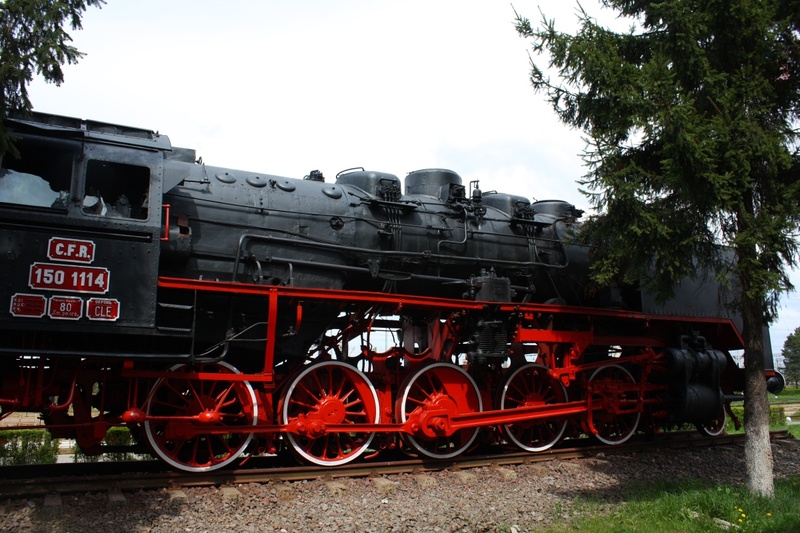 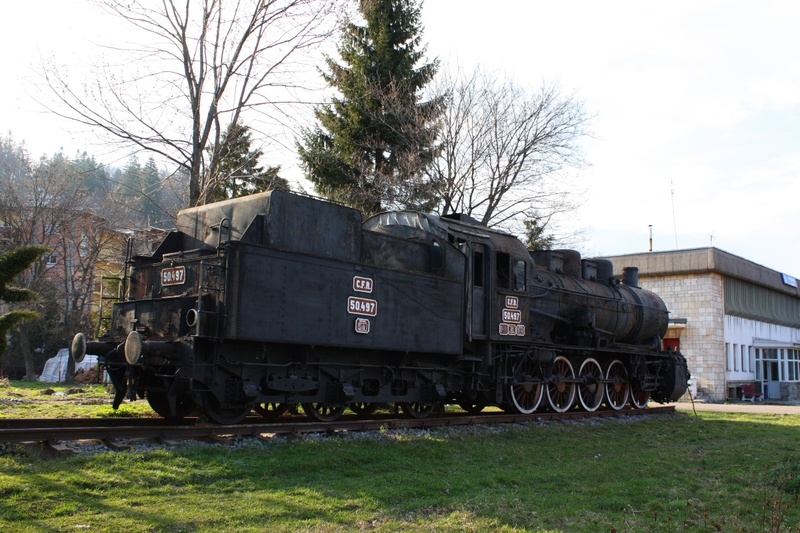 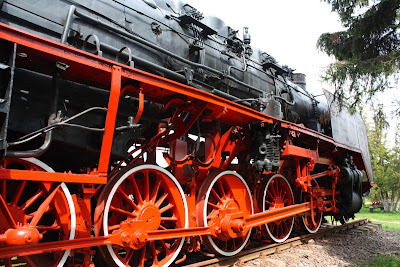 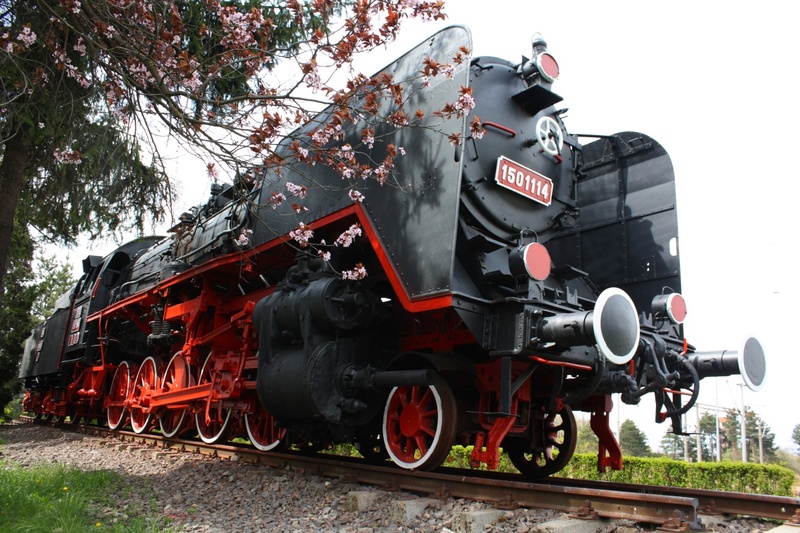 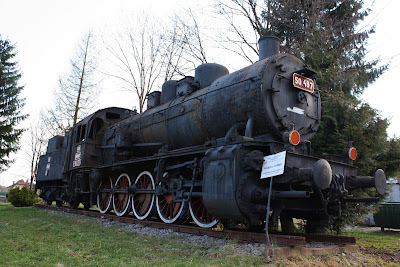 It was retired quite late, after a long service of 76 years, in 1983, and is now exhibited in the Prahova Valley, next to the train station of Sinaia. 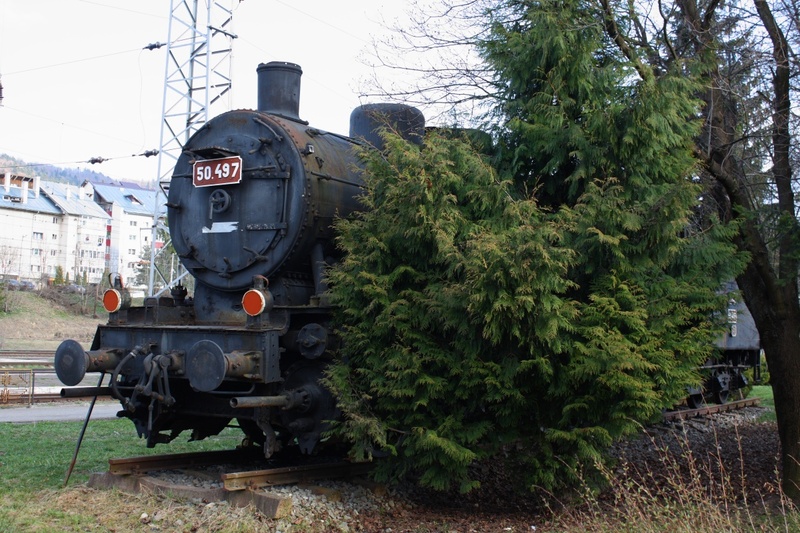 It was placed there in 2007. 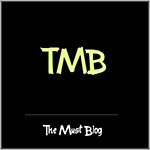 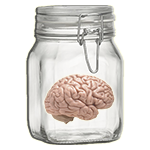 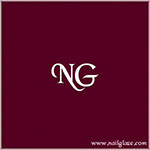 You can find a detailed article abut how it was exhibited at the Modelism Feroviar blog, here.